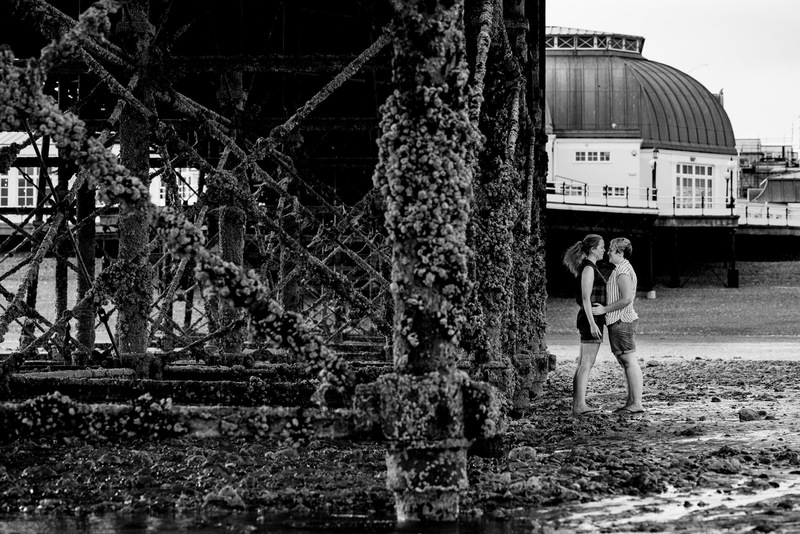 Worthing Pier has been part of my life since Maria and I moved to this small town on the south coast of England almost four years ago. 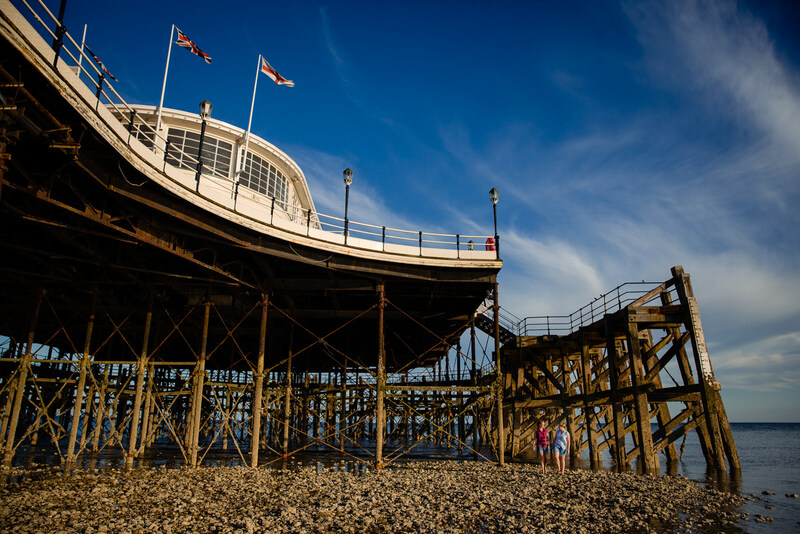 We’ve walked up it, we’ve walked down it, we’ve walked on it, we’ve walked under it. 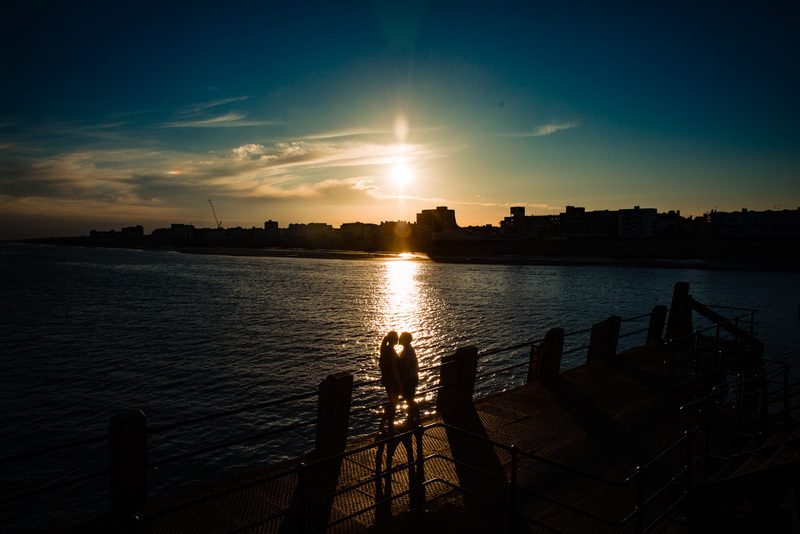 We’ve done it countless times and we never get sick of the place. 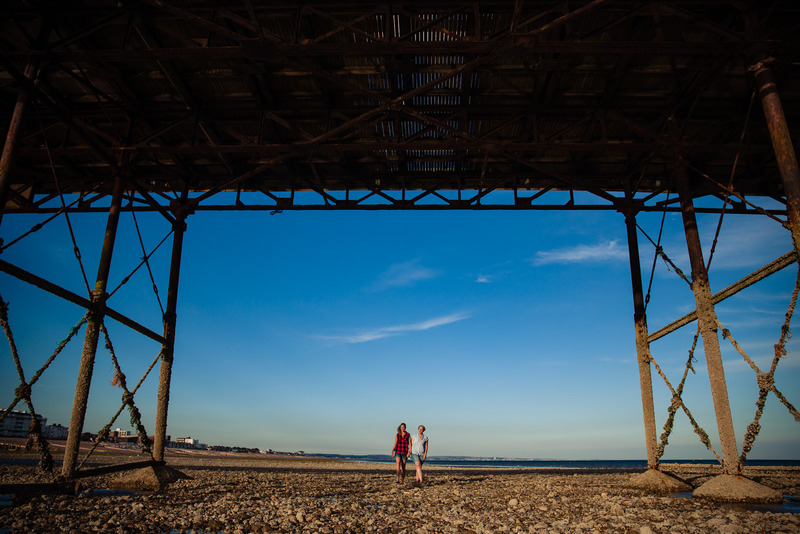 So, when Charlie and Sarah were looking for somewhere local for their engagement session (they live just down the road from us), I told them that I knew just the place. 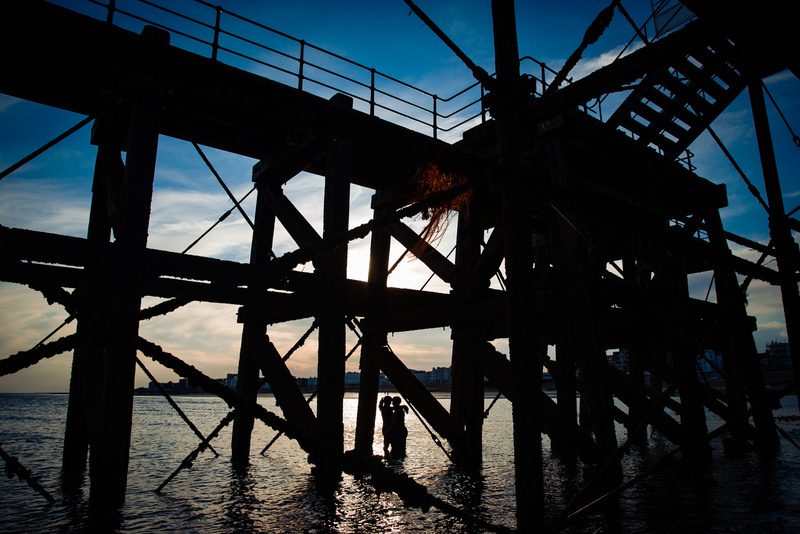 And the pier didn’t let us down! 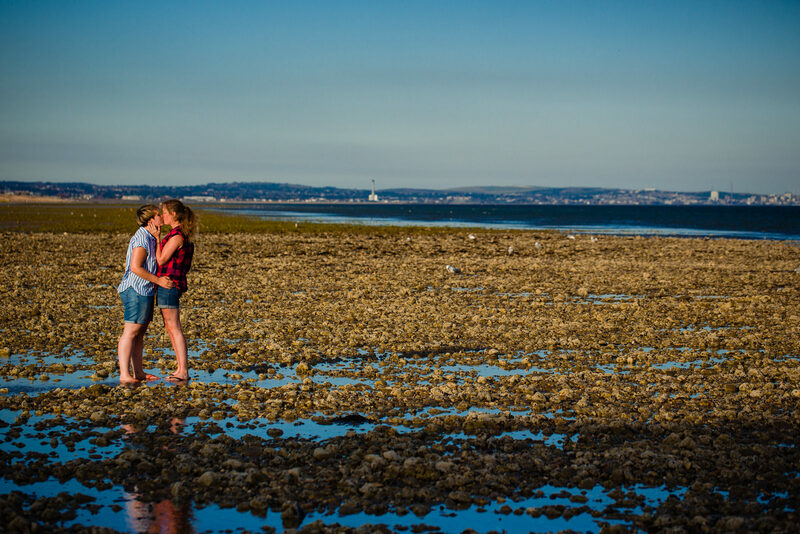 Low tide was at exactly the right time of day to allow us to wander all the way out to the very end (even if it meant kicking our shoes off and getting knee-deep for a while). 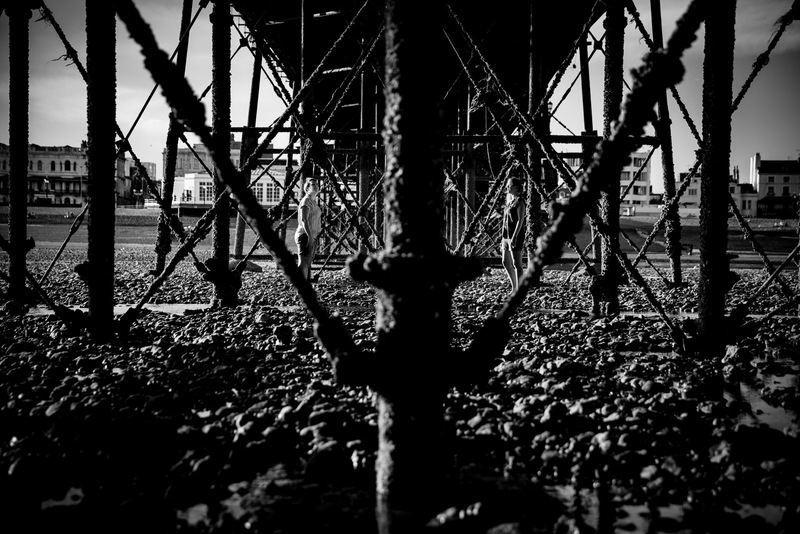 The steel columns and criss-crossing support beams on the pier’s underbelly are simply beautiful, and the barnacles that grip onto the pylons as the tide goes out are a reminder that if you hang around too long, you’ll soon be sleeping with the fishes! 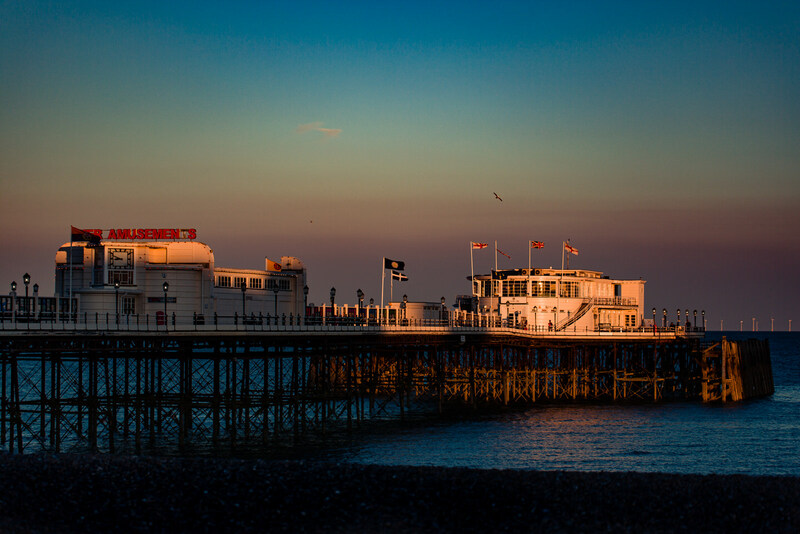 The top of the Worthing Pier is usually a busy little boardwalk in summer, but on a sunny afternoon in late June, we seemed to have the whole place to ourselves. 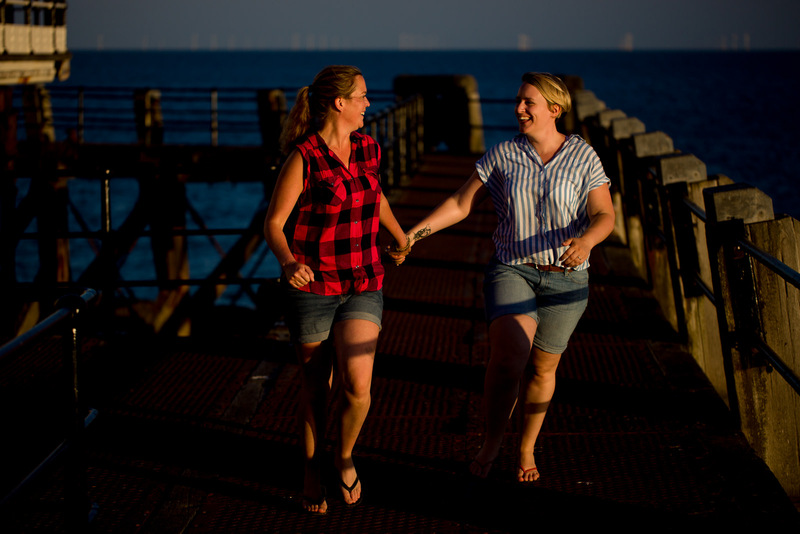 Charlie and Sarah marched along to the beat of their own drum, cackling with laughter like two mad lovers as they went. 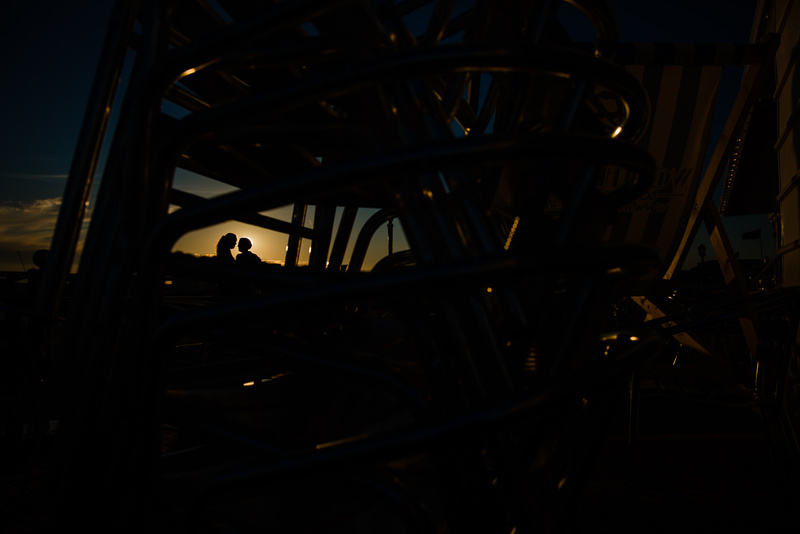 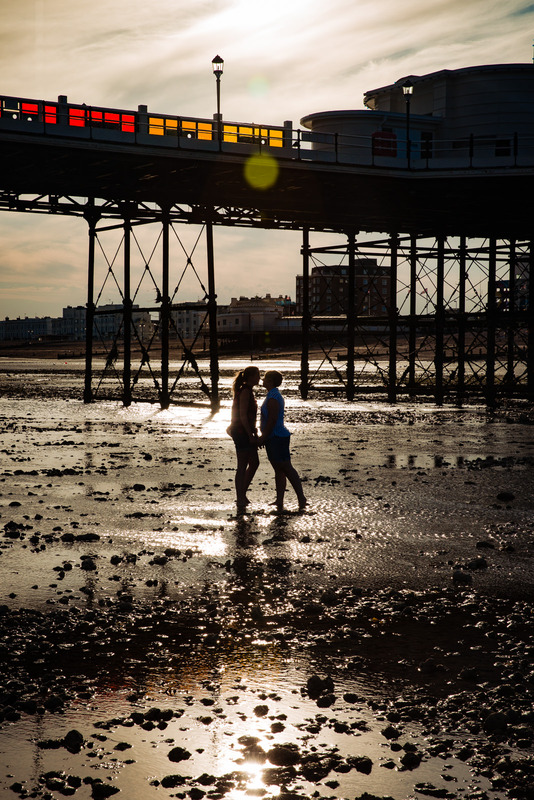 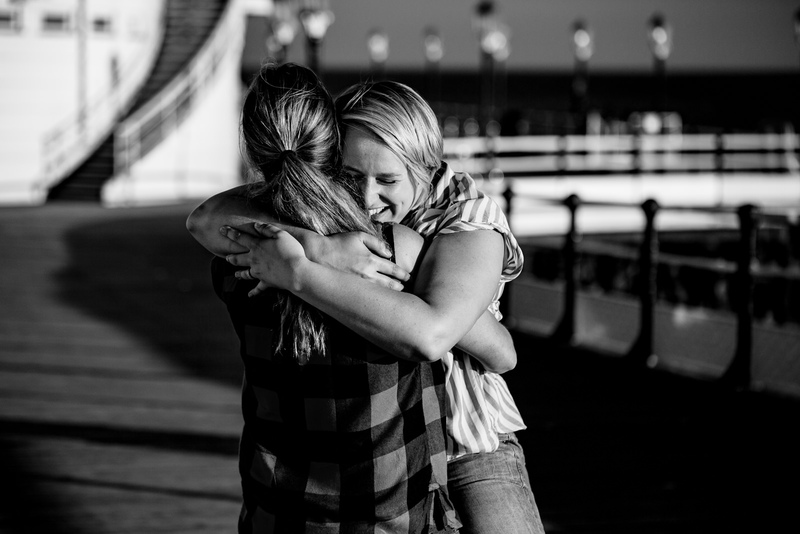 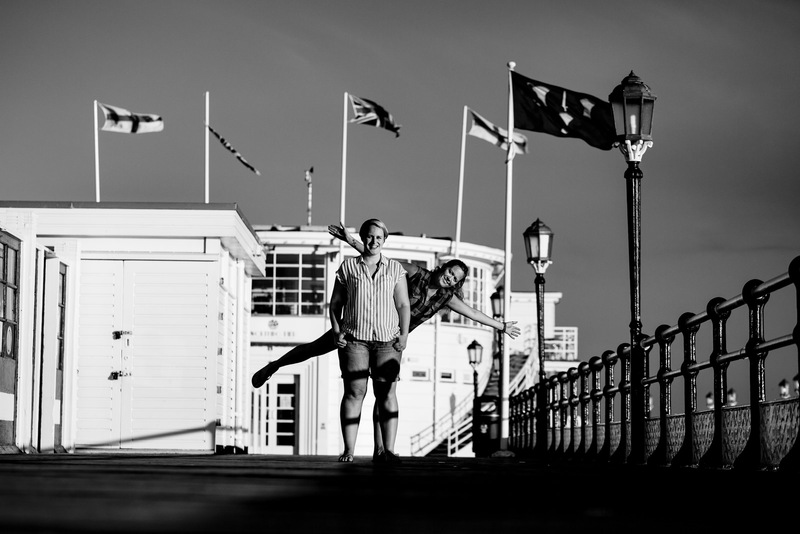 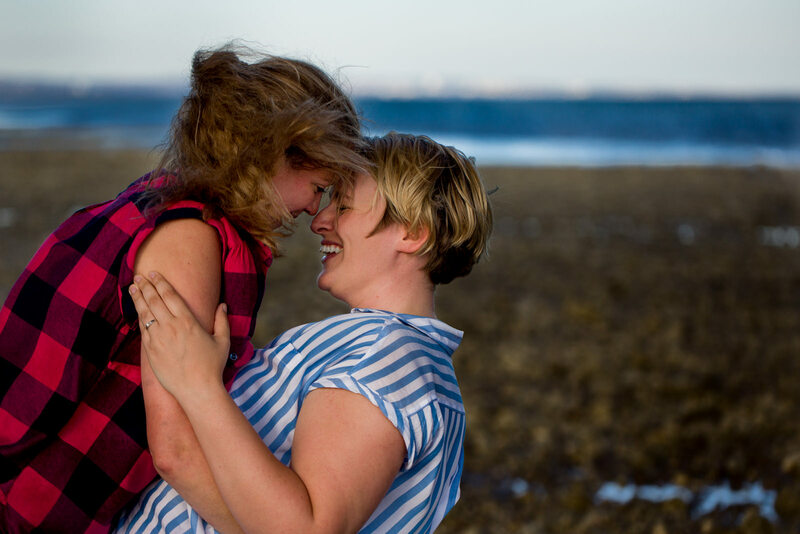 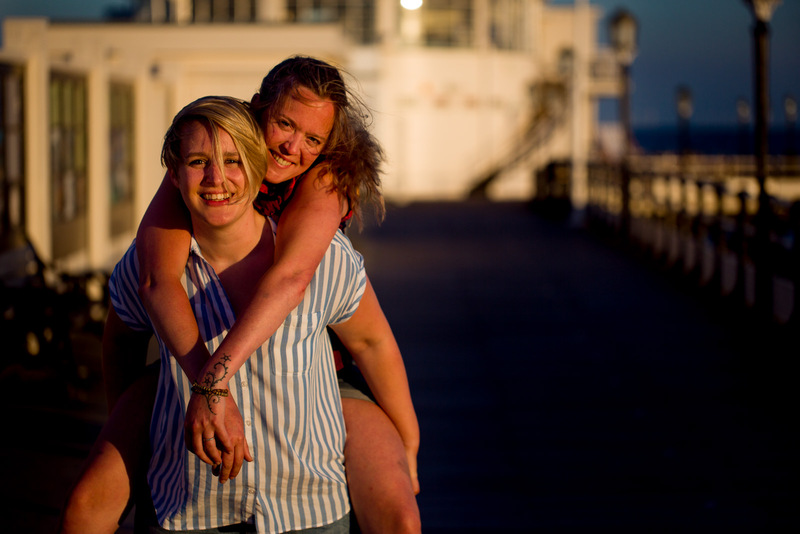 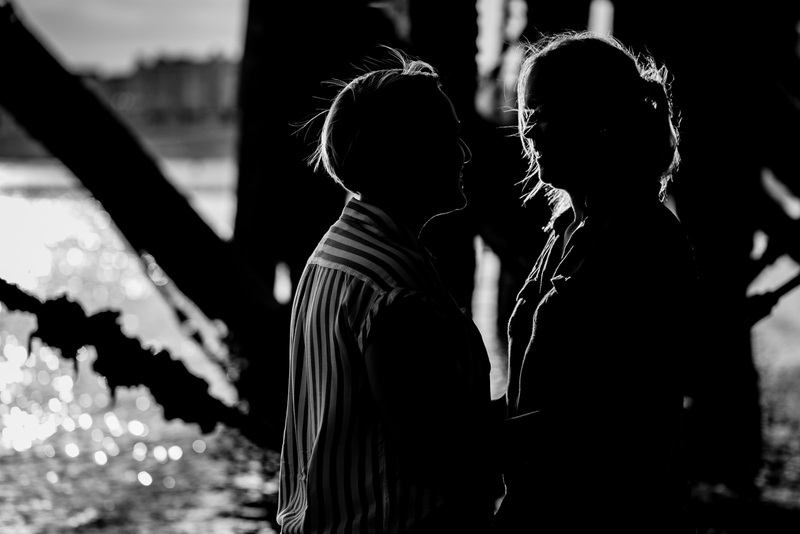 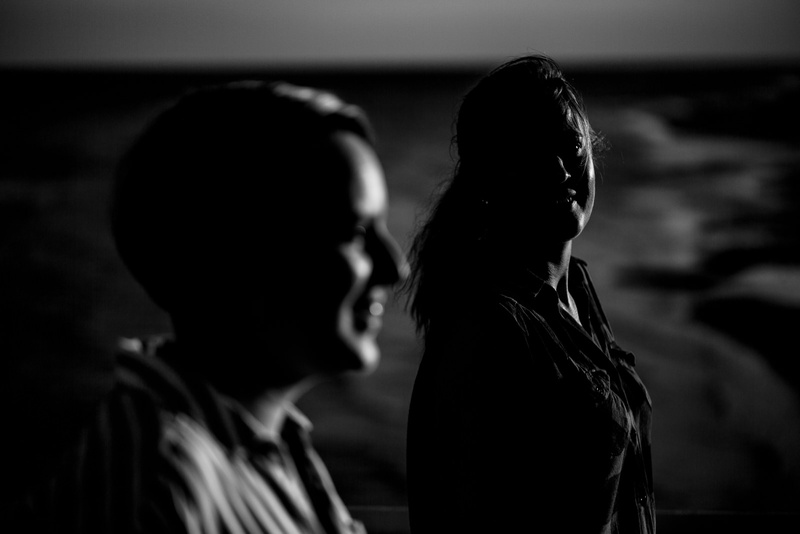 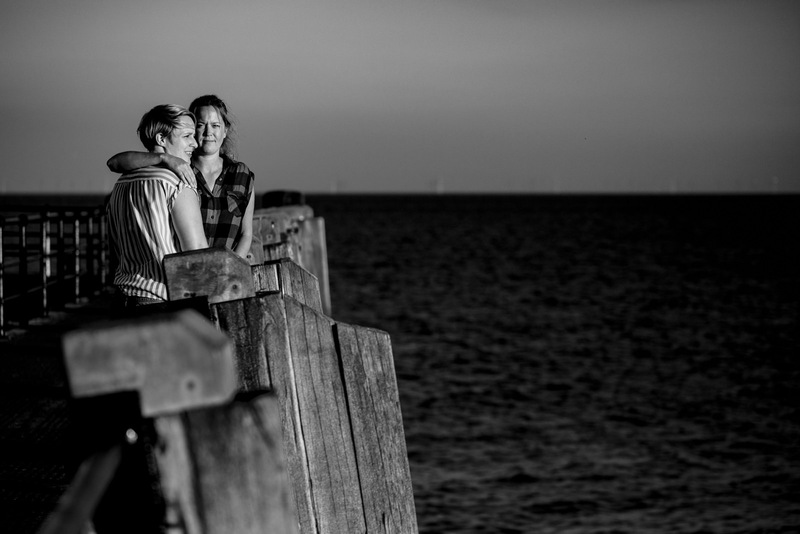 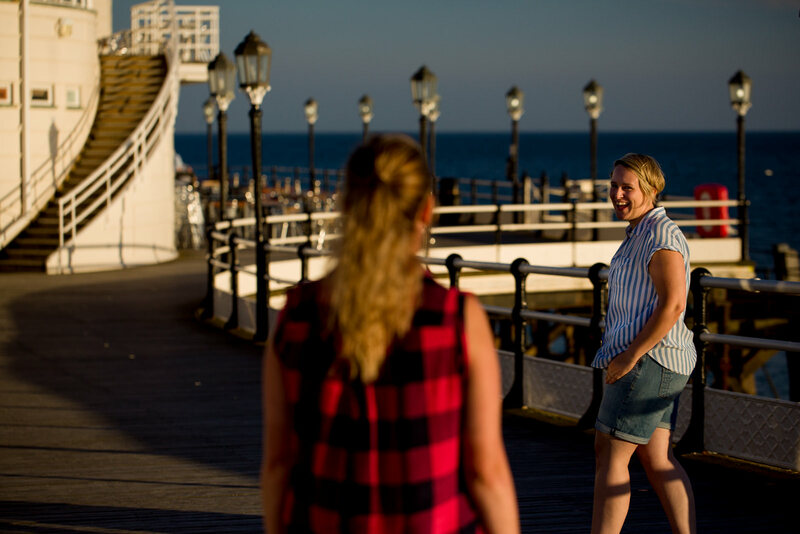 And as we reached the pier’s southern-most point, home to Worthing’s last rays of sunshine at the end of each day, I knew that I was in for one damn fine wedding when these girls tied the knot just a few days after this shoot! 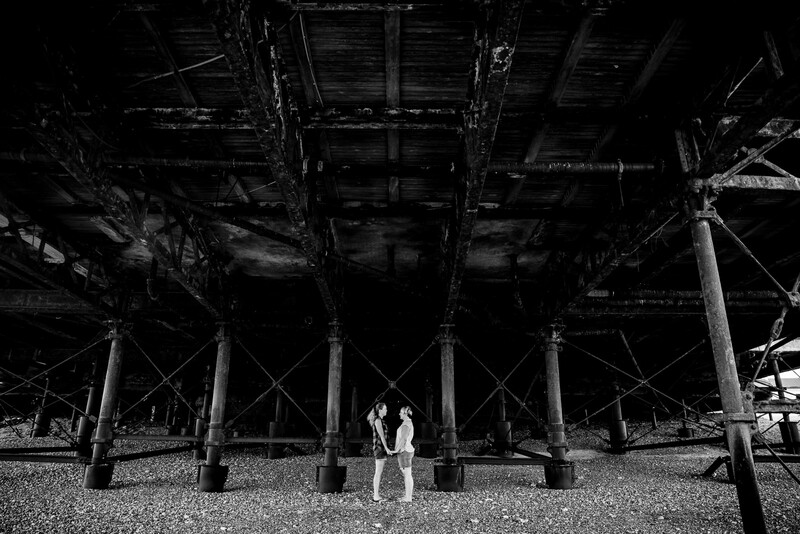 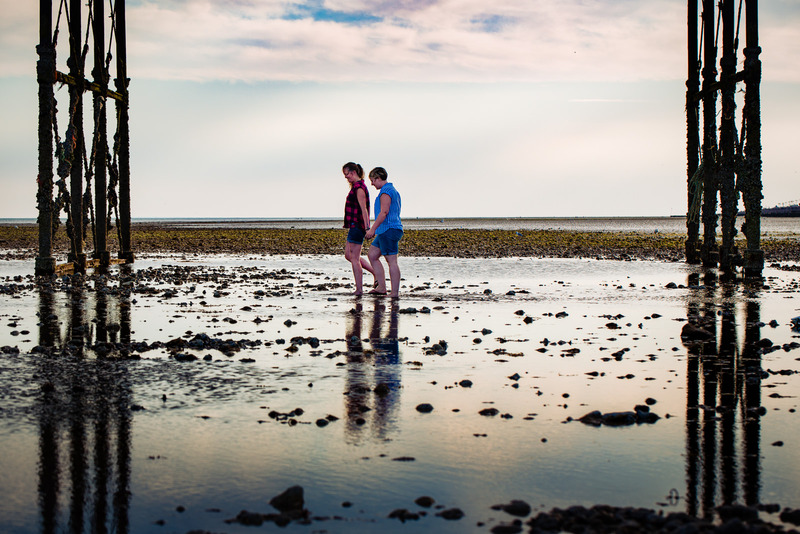 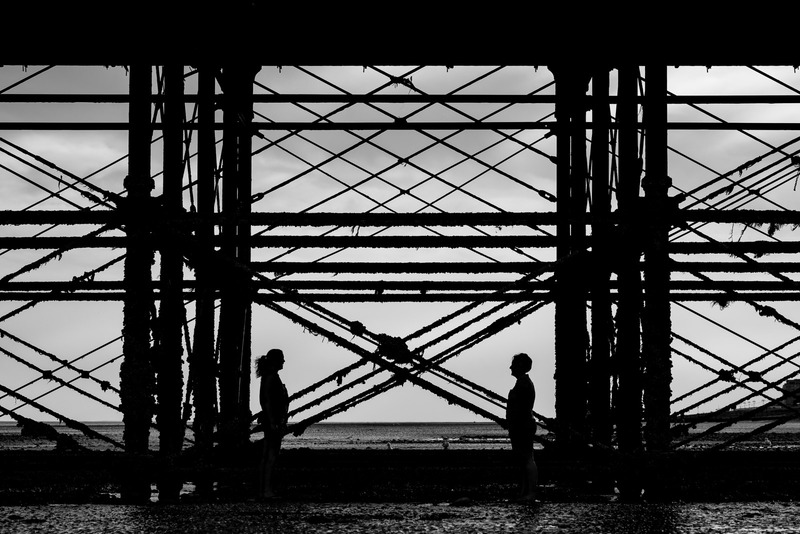 Charlie and Sarah, thanks for spending a few hours with me wandering around one of my favourite spots in Worthing.